Superior in both ability and durability, grooming tools from Seki Edge are meticulously made in the Japanese mountains from stainless steel and finished by hand. 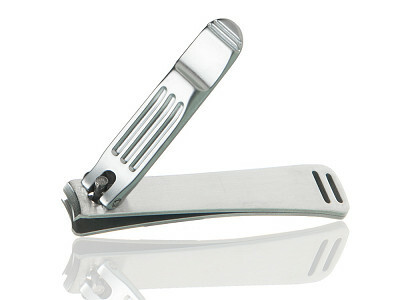 Ergonomic design makes using these tools smooth and effortless. 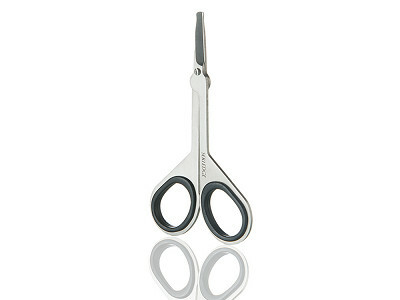 The scissors and clippers cut with decisive strokes, while the smart tweezers use a patented spring technology that tweezes precisely with very little pressure. This same mountain region was renowned for manufacturing the world’s greatest samurai swords for hundreds of years. Seki Edge is proud of that heritage, following the “Bushido” approach—the samurai code of honor and discipline—in making its products. 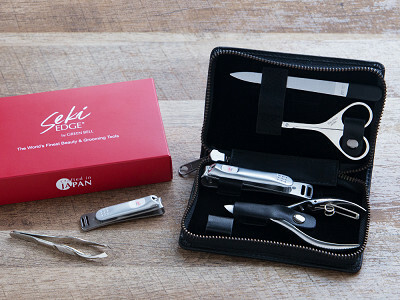 The tools from Seki Edge offer timeless craftsmanship that is made to last for a lifetime. 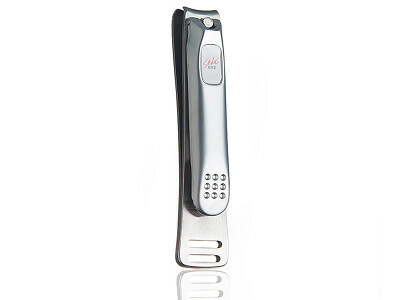 Seki Edge is a collection of world class beauty implements. 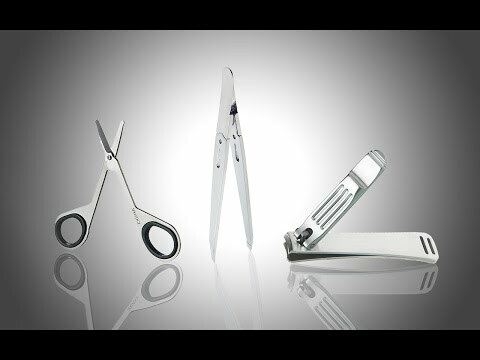 From nail clippers, tweezers, & scissors, there is something for everyone! I'm very happy to answer any questions. hi, Vanessa. These items are GORGEOUS and remarkably well-priced given the handcrafting! I'm curious if the clippers or scissors will ever need sharpening? When my cheapo drugstore clippers stop working well, it's only another investment of $4, but with the Seki items, I'm curious what the 'lifespan' is? Thank you!! @Melanie Thank you! They don't need sharpening. 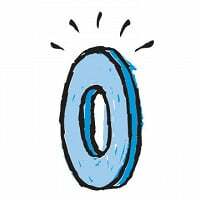 If you ever feel they lost their sharpness or something is wrong with them, we do have a lifetime guarantee on the products when you purchase them from Grommet. I thought of a second question after I hit 'submit'. 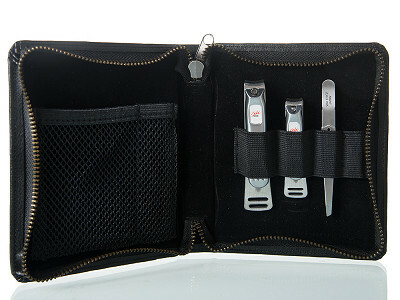 Since we're rolling into holiday season and these look like such a wonderful gift for guys, any option to get a nice carrying case with the set? (I'm not loving the red/white plastic packaging...that actually does feel a bit 'drug store', IMO.) Thanks! @Melanie This is a great idea! Please make that suggestion to Grommet to carry a case with the set. @Amy As a male customer (though unfortunately not on Melanie's holiday gift list) I second her idea for a carrying case. The one I'm using currently -- and have been using for 30 years -- is wearing out. I agree with Melanie. I would like to see these sold as a set in a nice presentable storage type kit. Right now we aren't selling cases with them, however this may change. We'll keep you posted. @Amy For Christmas I do stocking stuffers and lots of little things...would love to buy these tools in a nice manicure set in leather or cloth. Please keep me posted as well. @Amy I also would have to agree with everyone who has commented above re: a nice carrying case which at the very least included both the finger & toenail clippers. Another option that included all the Seki grooming tools would be very much appreciated. 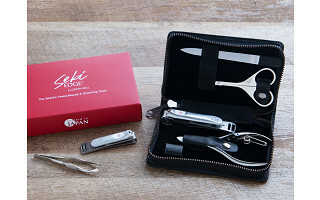 As others have previously said, with Christmas fast approaching these Seki products in a quality case would make wonderful gifts for several people on my shopping list this year! I would love it if Grommet would keep me posted on this fantastic idea as well! @Never I agree--I want to give this whole set to my brother for Christmas, but it is pretty much useless to me/him if it doesn't come with a carrying case of some time. Cloth, if that's all you can do before Christmas--but really, these fine tools warrant a leather case. @Amy I also agree -- would love to buy these as a Christmas gift as a set with a case. We are glad to know that everyone is so enthusiastic and happy to know that there's demand for a case. We're looking at getting this added and will keep everyone updated. @Amy I too would love to get the full set for my husband - a case/bags or something would make a great gift! Please keep me updated too! My wife is notorious for carrying clippers and tweezers in her purse. These would be a perfect gift if they had a case to keep them protected and sharp. let me know if there is one available please. I agree. I would purchase all four pieces had there been a cool case to go with it. And let's face it, you don't want a cheesy case to go with these sweet tools so when you come up with the case, make sure it rocks. 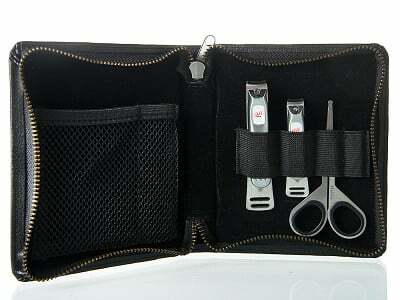 I two would be very interested in purchasing the complete set if it had a precision case to match the tools themselves. I would love to see a case holding all items!!! Products look great! I agree with everyone who is asking for a case and a set price. Will buy as soon as I see that. I was thrilled to see that Grommet heard or many requests for a case that included the Seki tools and have provided us with to options, one for men the other for women! Thank You for listening Grommet! I have one question though, after reading the description I'm unable to find where it lists what materials were used to make the case. It appears to be leather however the price suggests it may not be. Can you let us know if these cases are in fact leather and if not what are they made from?